Enough of the Fluff: Where have you been all my life?! From overweight gym class failure to marathoner. Ok, maybe I'm slow on the uptake. When capri pants were first really "in", I thought they were hideous and I vowed I would never wear them. Several years later, I tried a pair on for the first time - and bought them in 3 colors that day. Such is the story with PB2. I've heard good things about it. I've had friends sing it's praises. 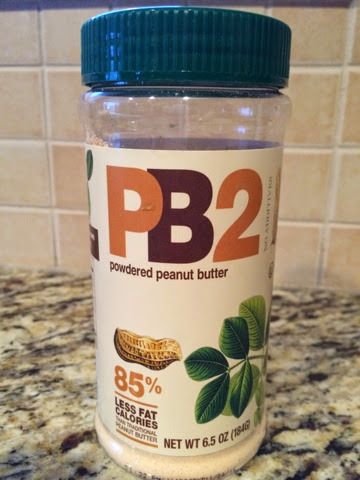 While, unlike Capri pants, I was never anti-PB2, I still just never got around to trying it. I actually intended to try much earlier but...well... I guess I'm lazy or forgetful. Probably both. Anyhow. I tried today. And...like capris...I loved it. How could I have gone so long without experiencing the wonder? It's a Shame. I love celery and peanut butter, but never ate it much because of the high fat and calories in regular peanut butter. I mean, it's not "bad " for you...until you eat like a gallon of it. (That's an exaggeration, I've never eaten a gallon of peanut butter. But you know what I mean). But PB2?! Has way less calories. Less fat. Less carbs. Less sodium. Less sugar. Comparable fiber. 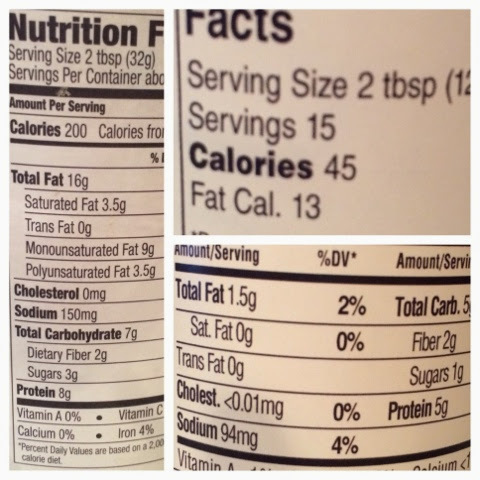 And yes, less protein - but it's still a respectable amount at 5g per serving. Check out the comparison! On the left is regular peanut butter, on the right is PB2. I couldn't believe that it actually tasted not only "acceptable", but GOOD. All you do is mix 2 Tbsp of PB2 powder with 1 Tbsp water (though actually I used more and I would bet a lot of people probably do, to get the consistency closer to regular peanut butter). And viola!! This is definitely going to become a staple in our household.